The Sicilian Najdorf is by far one of the most popular opening variations. This line combines complex positional ideas and endless tactical resources. That is why studying the Najdorf contributes to one's general chess understanding. In this article, I cover 8 of the most important Najdorf structures. It is important to point out that this survey deals with middlegame positions which arise out of White's positional lines against the Najdorf. Explanation of the structure, model game, and test. This structure arises in the variation 6.a4 g6!? as White usually plays a4-a5 at some point, cramping Black's queenside. Since White enjoys a small space advantage, Black needs to exchange some pieces in order to free his position. One common idea for White is to play Nd5. In this case, after Bxd5 exd5, he can put pressure along the e-file. Black should keep the knights on the board, as the squares c5 and e5 are very stable posts. In order to drive the knights back from these squares, White should go for some concessions. The best scenario for Black is leaving White with the light-squared bishop, as this bishop is his worse minor piece. Now we have a typical Najdorf structure in which Black plays e7-e5 in order to get more space in the center and easier development. The main drawback of the advance e7-e5 could be explained by the weakness of the d5-square. In this particular case, White tried to exploit Black's b7-b5 by means of a2-a4 which provoked b5-b4. The position of White's g-pawn does not make a big difference from a structural point of view. Nevertheless, White's light-squared bishop is not optimally placed on g2. Besides the usual pressure on d6 and playing for the d5-square, White can try f2-f4 to create some tension in the center or to provoke weaknesses in Black's camp. Black has counter chances as he can exert pressure along the c-file. Usually, f7-f6 is a good response to f2-f4, keeping the center solid and preparing to play a timely d6-d5, which would free his position. The a5-square is also important and both sides know it: If White plays a4-a5, both Black pawns on queenside will be weak. On the other hand, if Black manages to play a6-a5, his queenside will be safe. Compared to the previous structure, Blacks' queenside is safer now, but White has the option of playing a2-a4 with a transposition. Another possibility is to avoid the pressure along the c-file with c2-c3. The tournament practice has shown that Black should keep at least one minor piece on the board because positions with only major pieces tend to be more pleasant for White. In this specific structure, White will likely have a bishop on g2. 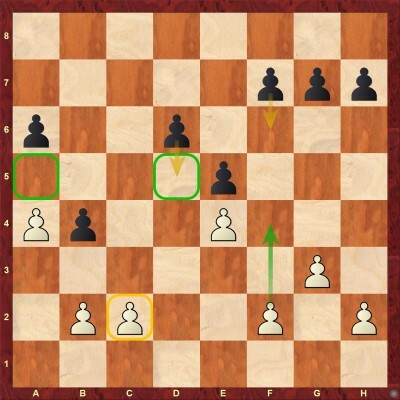 That is why it is good for Black to keep his light-squared bishop on e6. The next game features an interesting resource for Black: sacrifice the d6-pawn in order to get a nice initiative. This is a regular structure that arises in the 6.Be2 line. The d5-square is, of course, a recurrent motif, but the main detail here is the king's placement. In the lines in which White plays 0-0-0, he has some additional ideas, as a pawn storm on the kingside or g2-g3 followed by f2-f4, thus exerting pressure in the center. In this structure, Black should focus on the queenside and look for a counterplay against the king. The queenside attack tends to be very annoying for White. We have the same structure with only one important difference - the white king is on the kingside. Nevertheless, playing on the queenside remains Black's main plan. As mentioned in structure 3, Black should keep at least one minor piece on the board. This structure arises when White tries to attack the center with f2-f4 and Black answers with exf4, thus changing the structure and the nature of the position. 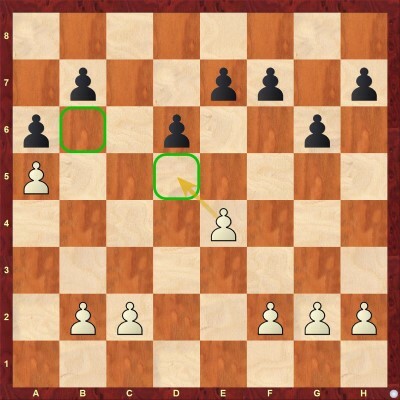 In this structure, besides the standard Nc3-d5, White can go for the maneuver Nd4-f5. In general, White is playing for a kingside initiative. Black's advantages are purely positional. He often uses the e5-square which is an excellent outpost for the knight (and sometimes for the bishop). Also, it is important to mention that the move f2-f4 exposes White's king and Black can take advantage of it. The d6-d5 advance is also an idea. Nevertheless, we should remember that even with pawns on d6 and e4, many endgames are fine for Black due to the vulnerability of the e4-pawn. 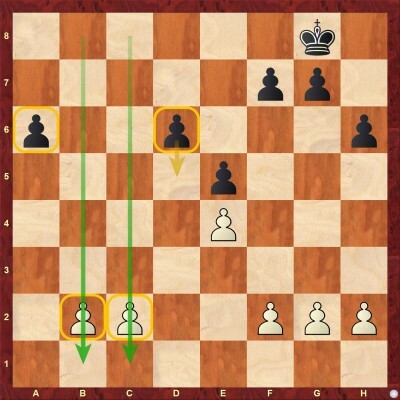 A rather modern structure arises when White plays Nd5, forcing the exchange, and then recaptures with the e-pawn. This kind of cuts the board into two halves. White aims to advance his queenside majority in order to put Black under pressure, open lines on that side or to create a passed pawn. Black should look for counterplay with his own majority on the kingside. Black should remember some important ideas: 1- Exchange the knight on d5 by means of Bxd5, keeping the knights that will be much more useful in such structures; 2- Get rid of his dark-squared bishop on the first opportunity, usually this is accomplished by means of Ne8-Bg5. It is a good operation because Black deprives White of the bishop pair and, at the same time, exchanges Black's worst minor piece; 3- Play the a6-a5 advance as soon as possible, as despite weakening the b5-square, it is an effective way of delaying White's advances on the queenside and gives the excellent c5-square to the knight, and 4- Be ready to play as actively as possible on the kingside, as the advances will force White to take some difficult decisions, as playing f2-f3 or f2-f4 to stop the pawns, would, in any case, expose some squares. This sort of structure arises when Black meets the queenside restricting advance a4-a5 with the active idea b7-b5 which allows axb6. Normally, White plays such positions hoping that he can stop Black's activity on the open files and reach a favorable endgame in which he can combine the attack against the weak pawns on d6 and a6. 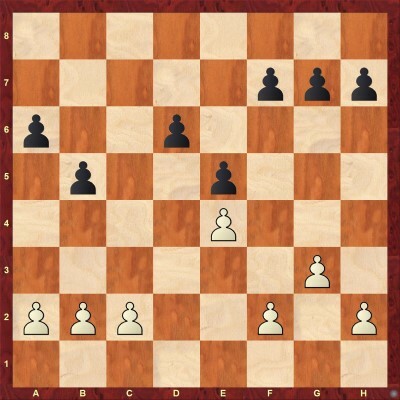 Black should be cautious about the endgames, especially those with a few pieces, like 3 or less for each side. It means that Black should look for active play here in order to keep White busy with concrete threats, using the open files on the queenside and eventually prepare the advance d6-d5 which would give a nice initiative.